Sandpoint, Idaho "Where Norman Rockwell meets Ansel Adams." Sandpoint, Idaho is located on Lake Pend Oreille, the crown jewel of Idaho. It’s also one of the largest and deepest lakes in the West. 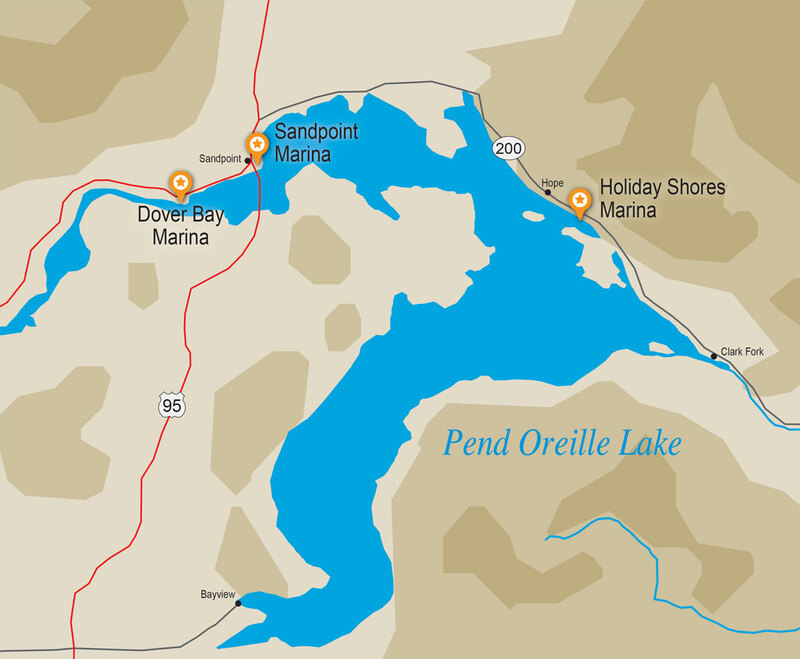 Conveniently located just 75 miles northeast of Spokane, Washington, our Lake Pend Oreille marinas and waterfront resort communities are the perfect summer vacation spots. As life-long Sandpoint natives who have a deeply rooted love for the lake, the community and the recreational opportunities that Lake Pend Oreille provides, we specialize in planning and developing waterfront lifestyles. Our resort communities bring together all the recreational opportunities available in the Sandpoint area, including fun on the lake, local golf courses, and activities at Schweitzer. Book Your Boat Slip Now!